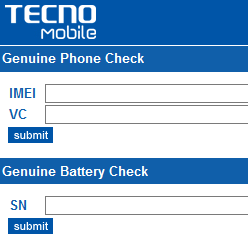 Visit http://gc.tecno-mobile.comEnter your IMEI code and VC code in the relevant field and submit.You will get a response informing you if the phone is GENUINE or NOT. 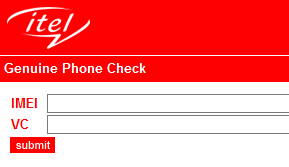 Dial *#06# to check IMEI and find VC number by removing the battery.Enter the IMEI and VC number of the device into this site: gc.itel-mobile.comHit the submit button. 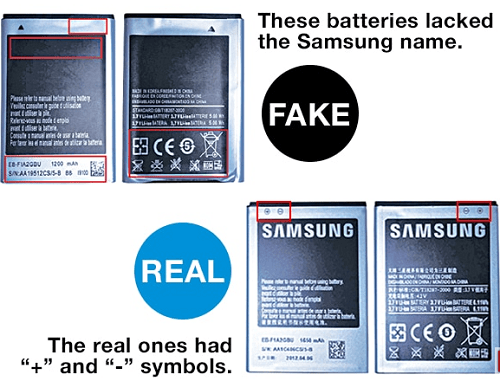 0 Response to "Tech: How to Identify Fake Samsung, Infinix, Tecno and iTel Phones"